When you are selling a domain name, you don’t want to suffer because of failed transactions or being tricked by defaulters. Safeguard your monetary dealings; the best way to do this is to take the help of a secure domain transfer and escrow service. 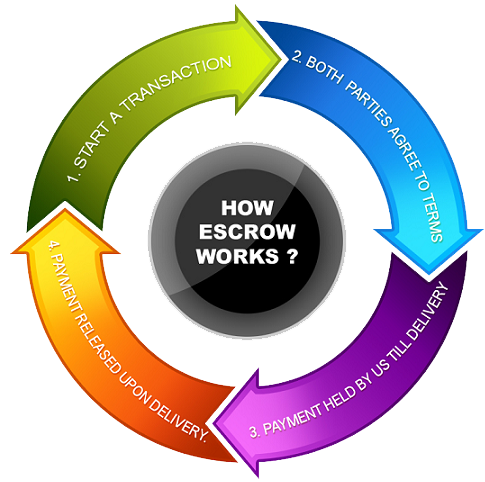 The escrow system is highly beneficial because a buyer has to deposit money at the trusted source prior to purchase, and the dealing between a buyer and a seller takes place through a secure domain transfer and escrow service. This makes the transaction safer for both parties with the involvement of a neutral third party. Domain name sellers are advised to use Sitetrader.net to list their domain name. The real advantage with us is the mandatory escrow service that comes with every transaction. Escrow service is useful, and cost effective, but only if the domain names have a high enough value. For names that are priced lower, using escrow service may lead to losses. Now it’s time to transfer the domain name. Every site has its own process. Generally, the domain-selling sites require sellers to submit the authorisation code, which will initiate the transfer process. Once the transfer is completed, the seller can transfer funds from the escrow account to his personal account. Do check for the minimum number of days the amount must stay in the escrow account before the transaction can be completed. Once the amount is due for release from the escrow account, you can transfer the money via wire transfer or even through PayPal to your own personal account. The use of PayPal comes with its own limitations in some countries, and it is better to check the PayPal country regulations. If you want to list your domain name on our auction please contact us now.